$25 off $100 Bosch orders. Update: The promotion has been extended and more products are eligible. From November 1, 2016 through November 17, 2016 November 18, 2016, through December 23, 2016, get $25 off select $100 Bosch orders shipped and sold by Amazon (not a 3rd party seller). The discount automatically applied at checkout. 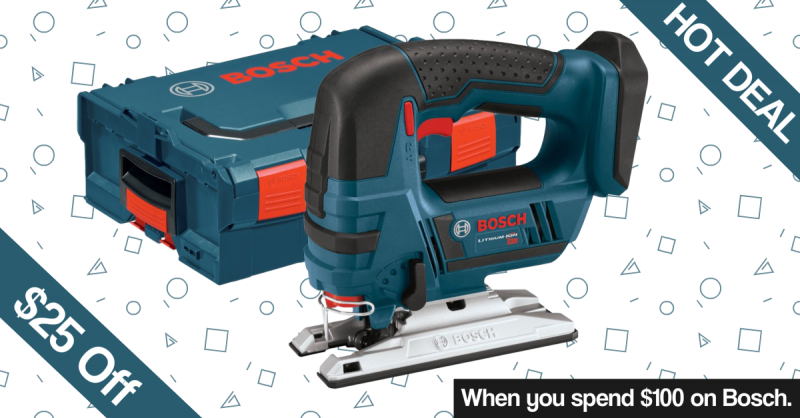 The deal is limited to select Bosch products, but there are quite a few of them available in the offer; mostly power tools but also some accessories. The best thing about this deal is that you can mix and match products. So if a product doesn't reach the $100 minimum you can add a second Bosch product to bring the total up to the minimum.